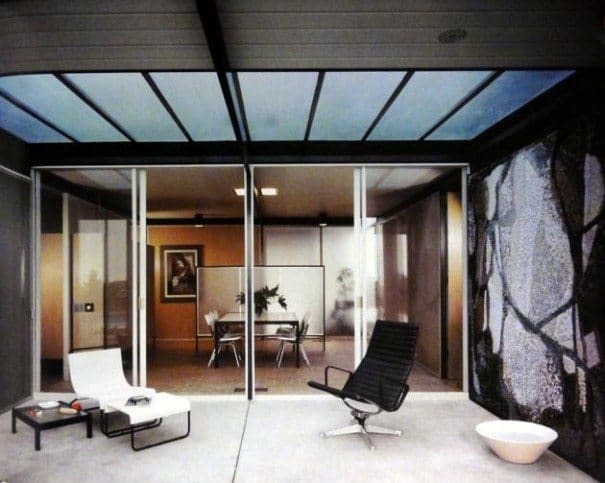 A common feature to many Mid-century Modern houses, is the atrium. The atrium is a large space within a house, often covered by a glass roof that provides light and adds an extra space to live in but with an ‘outside’ feeling: even during rainy days. 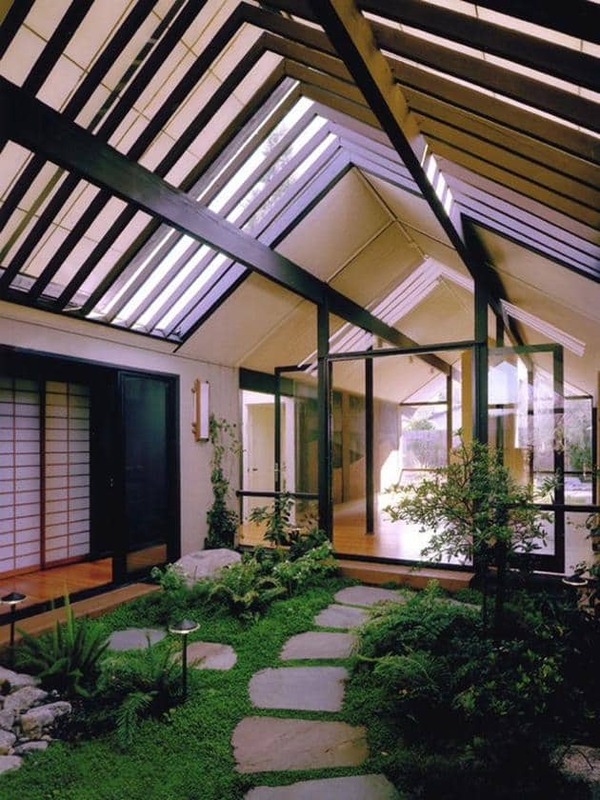 In Mid-century houses, atriums often are the heart of a house and almost, if not all, rooms are placed around them. 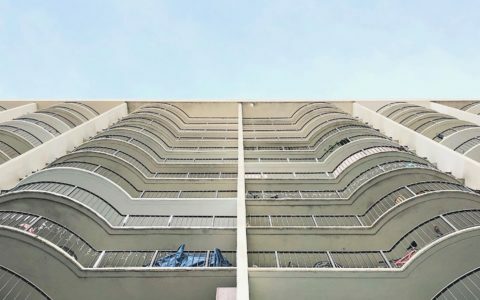 We know how important the indoor-outdoor connection is for Mid-century houses, and atriums are its perfect example. Sometimes used as covered gardens and others as an extension of the living area, every house owner choses what fits his needs best. 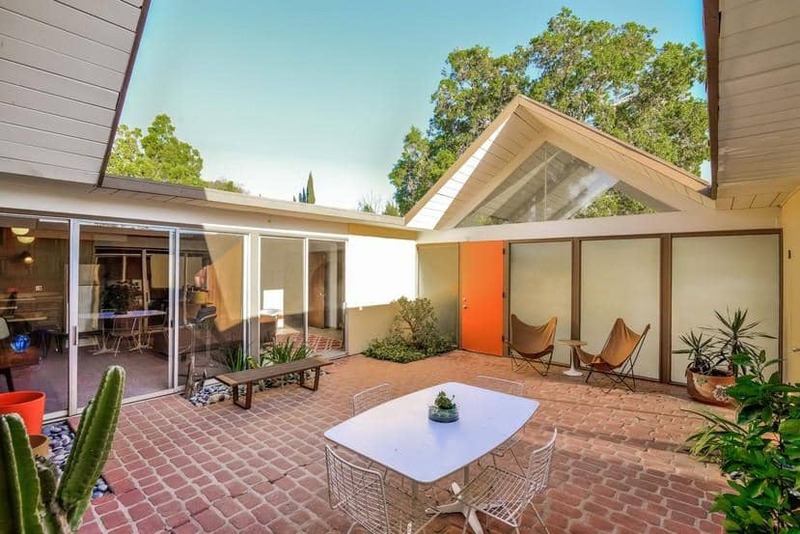 Today we selected five from Mid-century houses we like, each of them has a different layout to inspire you. Enjoy! 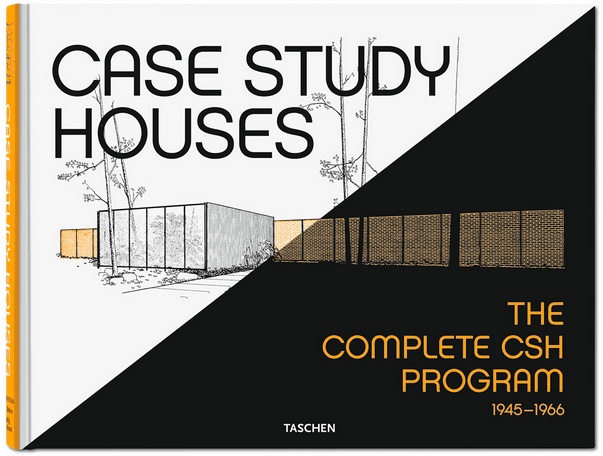 [tie_slide] The atrium of the Case Study House #18 was used as an extension of the living area. 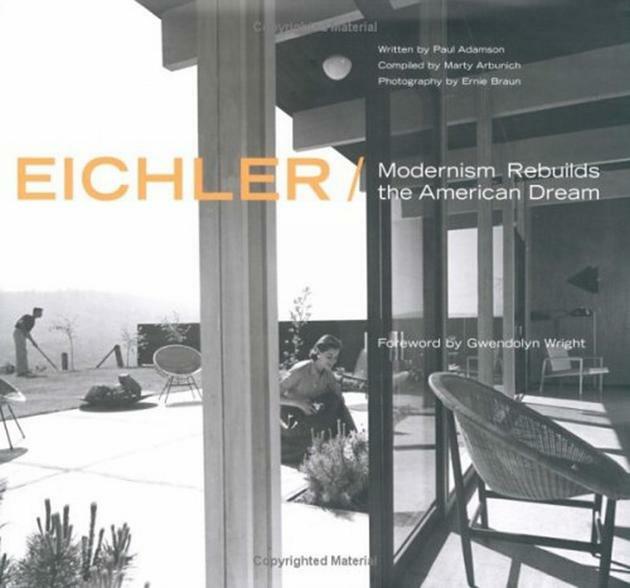 The Case Study House #18 introduced many enhancements on previous models designed for the program and was largely built in a factory. 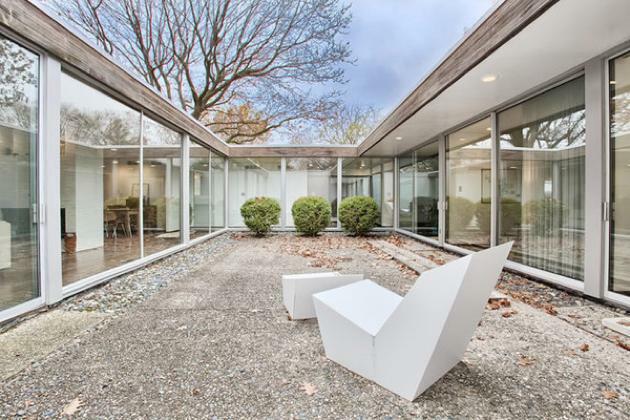 [tie_slide] This house was designed in 1967 by the architect John Replinger. 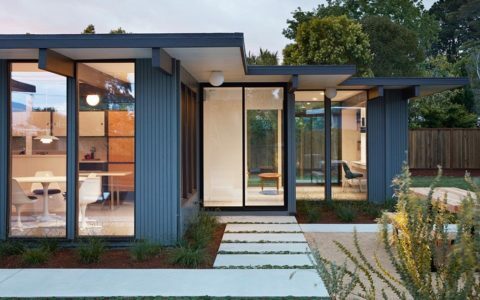 The iconic elements of a mid-century modern house are all there: open plan, floor to ceiling glass walls, a flat roof. Its atrium is not covered but used mostly as relaxation area, it really is the heart of this house. 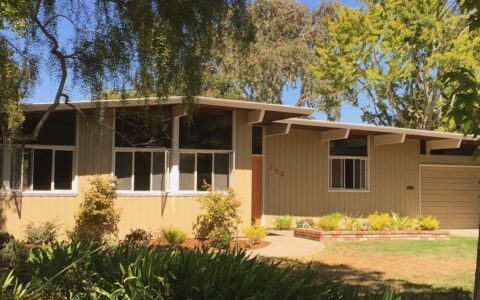 [tie_slide] In over 35 years, the owner of this Eichler in Granada Hills, CA, kept the house to its original status except for normal maintenance. As the rest of the house, this atrium is un-touched and perfect for family activities or small dinner parties. [tie_slide] A mid-century house in Portland, Oregon, renovated by a young family that loves and respects architecture. Their atrium is where the family can relax and play with their child. [tie_slide] This atrium was transformed into an inner garden to relax and enjoy the nature from the inside.